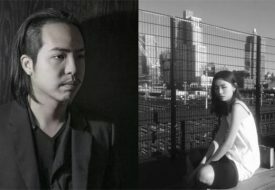 From fashion and timepieces to food and even a ride-sharing app, collaborating with the beloved mouthless feline character Hello Kitty is the way to go, at least for brands hawking their wares or services in Singapore. This time around, it is Italian luxury brand Furla that has jumped at the chance of borrowing the adorability of the kitty cat. 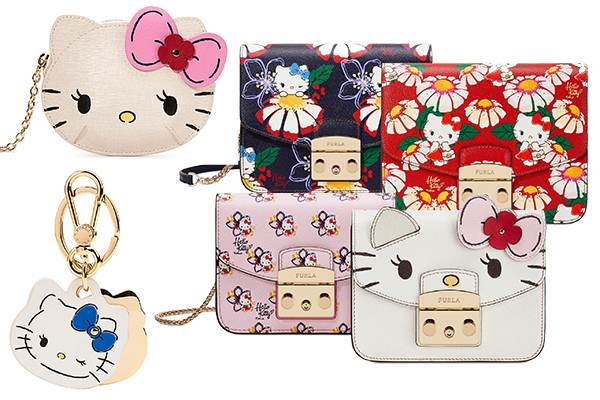 Inspired by the floral blooms in Italy, the brand has so generously splashed Hello Kitty on not only its iconic Metropolis bags, but also a handful of accessories such as makeup cases, key rings and wallets. Take note of Hello Kitty’s batting eyelashes that seemed to be curled to the Gods. But let’s get back to the Metropolis crossbody bags. Furla offers three variations of pink, red or blue, starring Hello Kitty frolicking among a confetti of daisies, hibiscus flowers, cherry blossoms and lotus flowers. There is also a fourth Furla Metropolis that celebrates this partnership with Hello Kitty: the body is in white Ares calfskin with a wide strap in black leather and, as the flap, with the Hello Kitty’s face with its characteristic pink and red bow.